This is a Step 2 Reading Book intended for readers in Grades 1 and 2. It is also a counting book. 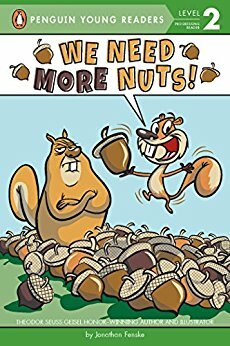 Children are introduced to squirrels who are hoarding and counting nuts. The number combinations begin with one and range up to twenty-four. This book may be read over and over to teach number skills or left in the hands of a child to practice independently. This is another book in the Giggle Gang series that features farmyard friends who get into sticky situations. 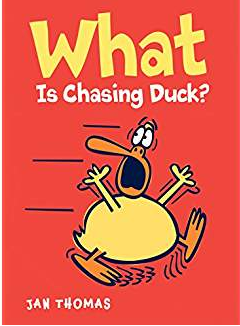 Duck is being chased and he summons his friends to try to get him out of a jam. They come up with some hilarious solutions that don’t appear to be working. Repetitive language, expressive illustrations and lots of humor will keep beginning readers laughing. Sofia Martinez belongs to a huge family. Whether spending a routine day at home, heading off to the beach or shopping for school supplies, things are never dull. Sofia is gentle and tender, but she is also determined and loyal. The chapter book contains three short adventures with Spanish vocabulary words inserted throughout. This book is an excellent choice for ESL students, bilingual families or English-speaking readers who want to learn a bit of Spanish. 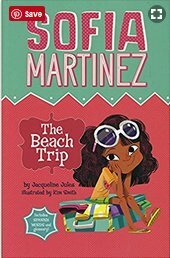 Sofia’s antics are fun for boys and girls who enjoy having fun. 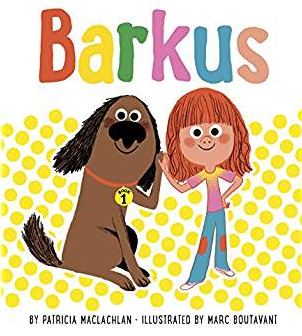 This early chapter book chronicles how Barkus became an integral part of Nicky’s family. Uncle Everton shows up at her dog with his dog named Barkus who is well-trained and intelligent. Nicky’s uncle will be traveling and can’t take Barkus with him. Barkus follows Nicky to school where he is immediately adopted as the class dog. When Barkus’ birthday rolls around, he invites the neighborhood dogs to crash his birthday party. One day Barkus is bored so he adopts a neighborhood kitten to become a part of his family. Nicky, Barkus and his kitten have a tent camp out in their backyard. Each of them comforts each other; no one is afraid of the dark. Large font accompanied by simple illustrations and lots of dialogue assist young readers in maintaining interest. 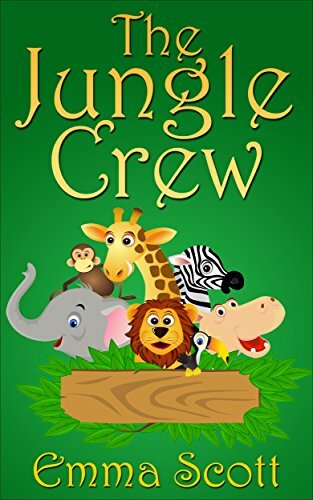 By using four different stories and reweaving them at the end, children learn how to recap and summarize events. Family and pets are two themes that appeal to young readers. Highly recommended especially for children in the six to eight-year-old range.